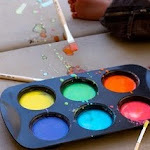 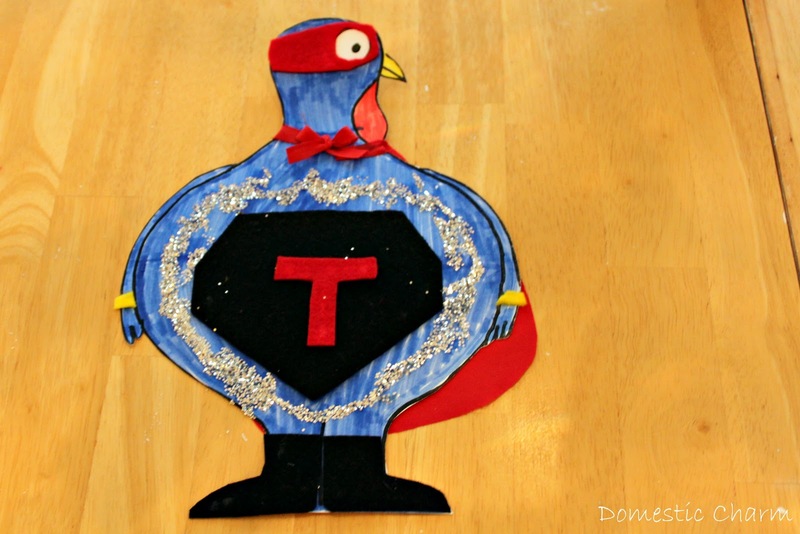 This is another activity that Hudson was sent home from preschool with, but it would be easy to create at home with your kids. He was given the turkey template (which you can draw your own or find one online) and told to disguise Tom Turkey so he is not caught on Thanksgiving Day. 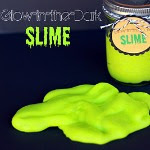 You can get creative and use things around your house to disguise him. You could disguise him as anything your child would like, such as another animal. 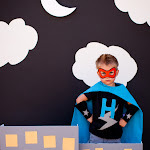 Hudson of course wanted to make him a Superhero! 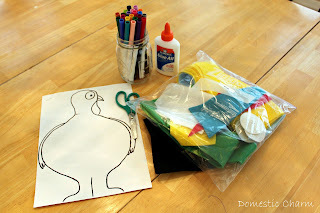 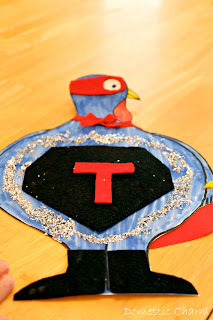 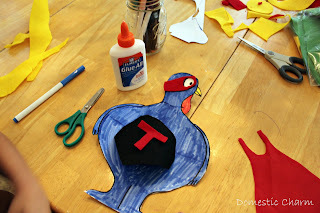 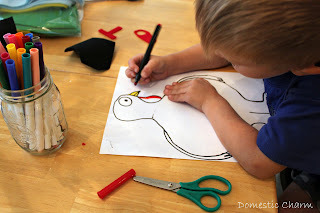 We used markers, felt, glitter, scissors, and glue to disguise Tom Turkey. First Hudson colored him with the markers. While Hudson colored I cut out a mask, cape, boots, and superhero emblems to disguise Tom with. 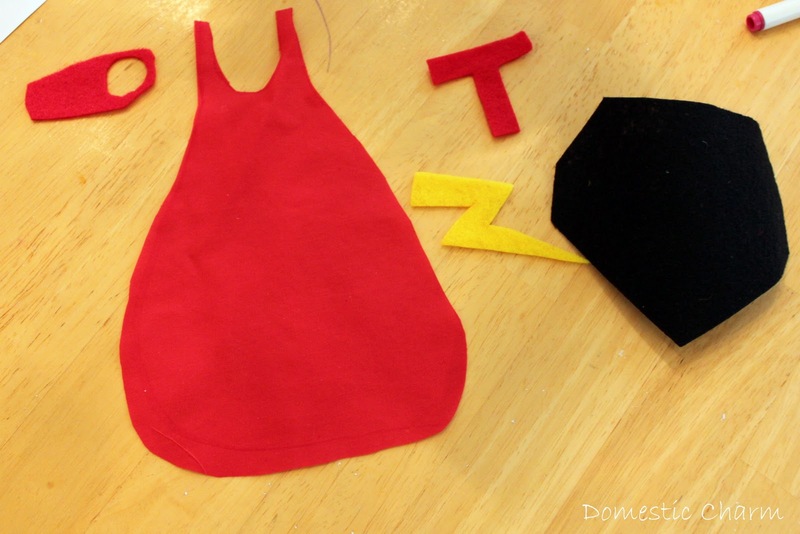 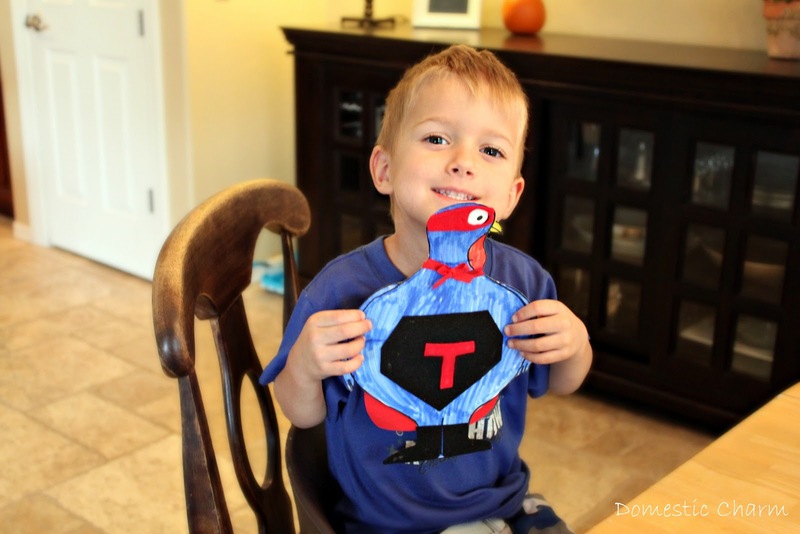 Once Tom was colored we cut him out and then Hudson glued the felt superhero costume onto Tom.